Named the 2010 World Car Design of the Year, the reborn Chevrolet Camaro carries on the tradition of the high-performance muscle car it helped establish when it went on sale in September 1966 as GM's answer to the Ford Mustang. Today, the Camaro belongs to a small but fierce group of once-great, then faded, and now recently resurrected muscle cars, which again prowl the world's highways. 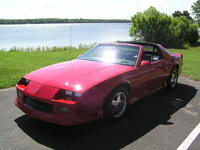 When the current fifth-generation version of the Camaro roared back to life in March 2009, after having been dormant since 2002, owners and reviewers were notably impressed. The new Camaro, with its hunkered-down stance, low roofline, and retro-aggressive exterior design, delivered powerful performance, even when equipped with the base direct-injection V6 powerplant. 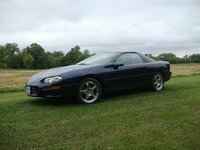 Even more surprising, the Camaro managed surprisingly good fuel economy, and equally surprising value. Drop the available 426-hp V8 engine under the Camaro's sleek hood, and you have a muscle car that rivals the best from the golden era in the 1960s and '70s. 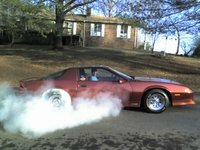 For 2011, the Camaro comes in LS, 1LT, 2LT, 1SS, and 2SS trims. All feature rear-wheel drive, a multi-link strut front suspension with an independent 4.5-link rear suspension, antilock brakes, traction control, and GM's StabiliTrak electronic stability control system as standard equipment. A 3.6-liter, 312-hp V6 drives the LS and LT trims, while the SS trims receive the gusty 426-hp, 6.2-liter V8 engine, which Chevy borrowed from the Corvette. The V6 trims post fuel economy numbers of 17/28 mpg, while the V8-powered trims eke out a very respectable 16/24 mpg. 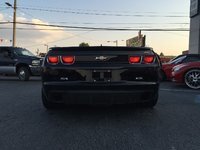 Even better, Chevy introduces a new Camaro Convertile trim for 2011. When it goes on sale in February 2011, it also will offer V6-powered LS/LT and V8-powered SS trim levels. In addition, Chevy will offer a limited-edition, luxury-oriented Neiman Marcus Edition Camaro Convertible equipped with Amber leather interior upholstery, a Boston Acoustics premium audio system, Brembo high-performance brakes, Pirelli P-Zero high-performance tires, a Bordeaux-hued convertible top, and Deep Bordeaux tri-coat exterior paint, as well as the V8 powerplant. When news of the reborn Camaro first hit the streets in 2007, car enthusiasts, reviewers, and prospective buyers were excited but understandably skeptical. But the new Camaro has met and exceeded most expectations, with many calling it a sure-fire hit and a "home run." Part of the new Camaro's appeal is its winning combination of old-school looks and power, melded impeccably with contemporary styling cues and high-tech mechanical and safety features. According to most, the Camaro more than lives up to the hype. Some cite minor flaws, such as a lack of visibility out the back, a tight rear seat, and a less-than-stellar grade of interior materials. However, most enthusiasts and reviewers tend to forget those issues when they sit behind the steering wheel and fire up the engine. 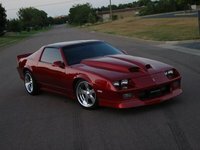 The new Camaro had a starring role in the first Transformers movie, alongside a vintage 1976 version of the muscle car, and it appears some of the transforming magic has rubbed off, for the Camaro has indeed transformed itself back to its original cutting-edge, high-performance, make-no-apologies incarnation. For the near future, the Camaro will compete for king of the muscle-car heap with the Ford Mustang, Dodge Challenger, and Dodge Charger. More than likely it will continue to get slightly more powerful and slightly more fuel-efficient, given the tenor of the times. But it's clear Chevy has a winner on its hands, and prospective owners can expect to see the current or a slightly improved version of the Camaro in showrooms for the foreseeable future. History, as everyone knows, repeats itself. Just as the current-generation Camaro made a dramatic comeback as GM's answer to the rebirth of the iconic Mustang, so did the automaker create the Camaro in its original skin as a response to Ford's popular pony car of the era. 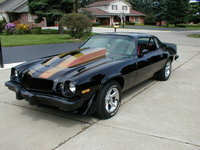 Internally during the Camaro's development, Chevy used the code-name Panther, in addition to a number of other code names, when describing the vehicle. Upon introduction, following a tradition established by the Corvette, the Corvair, and the Chevelle, Chevy went with the name Camaro, apparently from a French word meaning "friend." 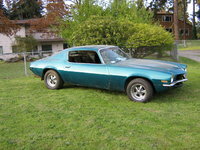 The name proved controversial at the time, but soon became a household word as the Camaro established its hot-rod reputation. The first-generation Camaro, which bowed in September 1966 for the 1967 model year, rode on a platform borrowed from the then-new Chevy Nova. 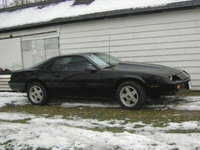 Like the Mustang, the Camaro was a rear-wheel-drive car available as a coupe or convertible. Originally classified as a compact car, it seated four passengers. To outfit the car, the automaker offered 80 factory and 40 dealer options, including air conditioning and an AM/FM radio, as well as a spoiler, sport striping, and heavy-duty brakes. A Super Sport (SS) package included dual exhaust pipes, a sport-oriented suspension, and unique badging. For power, Chevy offered a range of engines, from a 230-cubic-inch, 140-hp six-cylinder engine to a 255-hp, 350-cubic-inch V8, which represented a new top-line powerplant for the automaker in terms of displacement. Chevy made some minor styling updates for 1968 and freshened the Camaro's exterior design again in 1969, updating the grille, door panels, and rear end. Chevy also offered a number of performance-oriented options for the '69 Camaro, including a big-block L72 425-hp, 7.0-liter V8 engine borrowed from the Corvette, as well as very-limited-production Camaros equipped with a new 430-hp, 7.0-liter ZL1 V8. Due to problems with the second-generation Camaro, the automaker extended production of the '69 Camaro into the the 1970 model year. When the second-generation appeared in February 1970, it was longer and wider than the first generation, though it sat on the same platform. 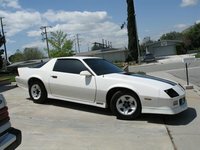 The Camaro's rounded lines gave width to a v-shaped grille and sharper, more angular lines, a changeover initiated with the previous year's design. 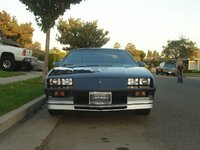 For power, the Camaro came equipped with a number of available engines, including a new 4.1-liter (250ci), 155-hp six-cylinder as its base powerplant, as well as a top-end 375-hp, 6.5-liter V8. 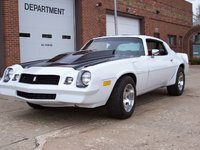 RS (Rally Sport), SS (Super Sport), and Z28 packages were offered early in the second generation, though they eventually disappeared from the lineup, only to reappear in the mid- to late '70s. 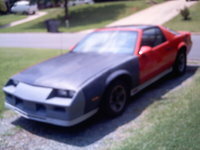 For the '86 model year, Chevy introduced an IROC-Z trim, which commemorated the International Race of Champions. Features included a performance-oriented suspension and a 155-hp, 5.0-liter Quadrajet V8 engine, although owners could add an optional L69 190-hp Quadrajet V8 with a tuned port injection system, borrowed from the Corvette, or a 215-hp LB9 V8 linked to an automatic transmission. The IROC-Z was named one of Car and Driver's 10 Best Cars for 1985. 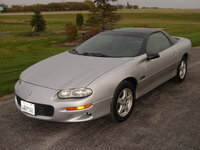 For the fourth and final generation prior to production stoppage in 2002, Chevy rounded out the Camaro's angular exterior lines, giving it a smoother, sleeker, and more muscular appearance. 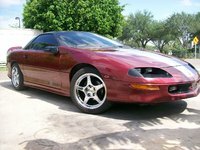 Debuting with the 1993 model year, the fourth-generation Camaro rode on the same basic, though upgraded, rear-wheel-drive platform it sat on in its earliest days and retained the same basic 2+2, four-passenger configuration. Sport Coupe and convertible Berlinetta trims were once again available with a choice of V6 and V8 powerplants, including a 3.4-liter, 160-hp base powerplant and a 275-hp V8. 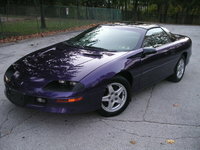 Chevy updated the Camaro's taillights and interior for 1997, and offered a 30th Anniversary Edition complete with orange stripes on white exterior paint. The Camaro changed little in its final four years of production. 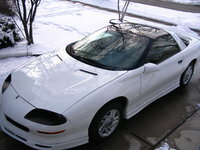 In 2002, Chevy offered a 35th Anniversary Edition Camaro SS with embroidered headrests, exterior stripes, silver inserts in the bumpers, and unique 17-inch wheels. It was available only as a convertible or T-top. 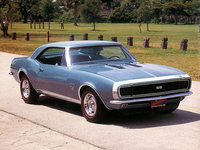 The fifth generation sparked a renewal of interest in the Camaro, which has helped bring the 1960s-era muscle car into the 21st century. With five trims from which to choose, including the high-end 2SS trim equipped with leather upholstery, a heads-up display, a four-gauge auxiliary instrument cluster, a nine-speaker Boston Acoustics premium audio system, Brembo brakes, 20-inch wheels, and a 426-hp, 6.2-liter V8 engine, the Camaro offers something for just about any car enthusiast. But it does so smartly, with fuel-efficient powerplants, all the latest safety gear, and standard features like electronic stability control. 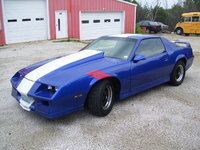 Throughout its production run, the Camaro was extremely customizable. 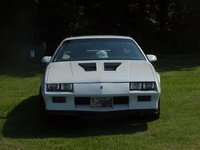 A wide range of factory, dealer, and aftermarket options, add-ons, powerplants, transmissions, badging, and upgrade packages, such as a police car package, were offered throughout the car's production history and made many Camaros unique and individual. 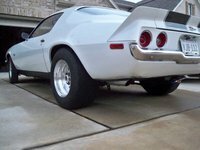 Some older Camaros remain well-treated and little-driven, making them good options as well as potentially good investments for savvy buyers. This uniqueness among individual units has continued to appeal to casual buyers, aficionados, and collectors. As a result, prices have held up surprisingly well, even for first-generation Camaros. 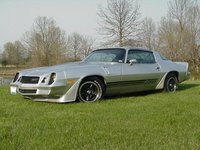 Add in limited production numbers for certain years and trims, such as SS trims, and you can expect to find prices for used Camaros varying widely, with some priced well into five figures. Prospective owners looking for used fifth-generation Camaros may find the choices fairly sparse at this time, since it's still fairly new in the production cycle. 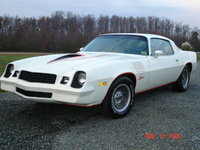 But buyers can find plenty of fourth- and even third-generation Camaros still on the roads today at more reasonable prices. Prospective buyers also may want to check auto auctions as well as local dealer lots for available vehicles. 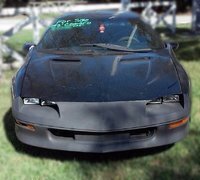 Due to the Camaro's iconic status, many older versions are being sold through auctions, and many come with some degree of documentation, especially for vehicles with aftermarket add-ons. Also, due to all the varying powerplants, add-ons, exterior paint/striping combinations, and limited-edition trims, prospective owners may sometimes have difficulty placing the exact year of a specific car. 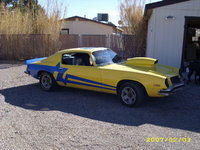 A number of reference materials available in books or online can better help buyers determine the exact age, trim, and equipment of any specific Camaro. 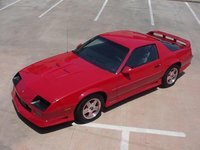 Start a new Chevrolet Camaro question. Is it normal car temperature to reach 225? 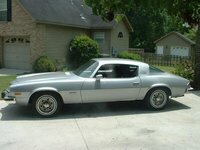 im 14 turning 15 an i really want a 1969 chevrolet camaro, and i think it's around $45,000? an my parents said maybe but hows the gas too?